RIO DE JANEIRO, Nov 8 2014 (IPS) - “If I had to choose today I would stay back home, I wouldn’t come to look for work here,” said Josefa Gomes, who 30 years ago moved from Serra Redonda, a small town in Brazil’s semiarid northeast, to the city of Rio de Janeiro, 2,400 km away. She reached that conclusion as a result of the changes she has seen in her hometown, population 7,000, during visits to her family in recent years. “Everything has changed, now people have electricity, there’s work in the flour mills, shoe factories, or farming cooperatives,” she told IPS. Besides, thanks to paved roads and buses that pass frequently, it only takes 40 minutes to reach Campina Grande, a city of around 400,000, from her town. “It used to take over an hour,” she said. The economy of the northeast, Brazil’s poorest region, has been growing since the past decade at a pace much higher than the national average, which has been nearly stagnant since 2012, due to the slowdown in the traditional motor of the economy: the south. The northeast is enjoying strong economic growth that has reduced the gap with the most developed part of the country, the south and southeast. The progress made and the expectations of further advances strengthened regional support for Rousseff. The southern state of São Paulo is in recession. Its industrial output accounted for over 31 percent of the national total in 2011, compared to 38 percent 10 years earlier, according to an Oct. 6 study by the National Industrial Confederation. The 7.7 percentage points lost were distributed among other states, including the nine states of the northeast. That trend has been exacerbated since last year by an industrial crisis whose epicentre is São Paulo. Brazil’s industrial production fell 2.9 percent in the first nine months of this year, compared to the same period in 2013. The country’s industrial decentralisation, added to other factors, has reduced the economic inequality between Brazil’s regions, at the expense of the traditional industrial centres of this Latin American powerhouse of 200 million people. The dichotomy in the economic geography fuelled the opposite behavior of voters in Brazil’s recent elections. President Dilma Rousseff was reelected with 71.7 percent of the vote in the northeast in the Oct. 27 runoff. But her triumph was threatened by a broad opposition majority in São Paulo, where 64.3 percent of voters backed her rival, the pro-business Aécio Neves. The electoral divide in Brazil tends to be attributed to the government’s social programmes, especially Bolsa Familia, which have pulled some 36 million Brazilians out of poverty during the governments of the left-wing Workers Party led by Luiz Inácio Lula da Silva since 2003 and Rousseff since 2011. 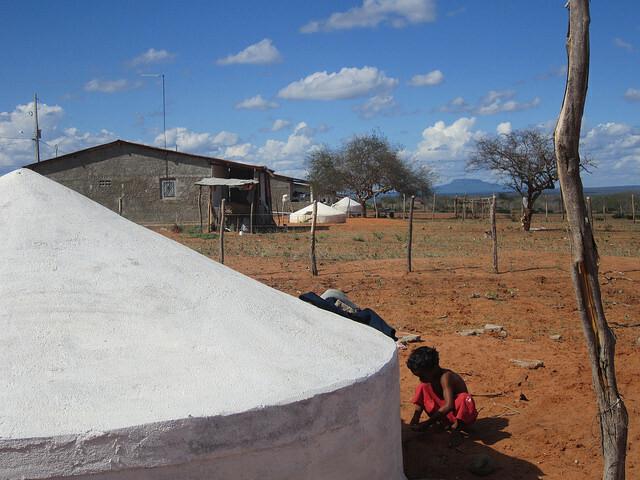 Bolsa Familia funnels some 440 million dollars a month to the northeast, where the monthly cash transfer is received by 6.5 million families – nearly half of the programme’s recipients nationwide. But that is only one-sixth of what is received by the 8.8 million retirees and pensioners of the region, from the social security system, economist Cícero Péricles de Carvalho told IPS. Moreover, of Brazil’s five geographic regions, the northeast generated the most formal sector jobs in the past few years. There are currently nearly nine million workers with contracts in the region – double the number at the start of the 21st century, he said. “The number of formal sector jobs in the construction industry alone increased from 195,000 in 2003 to 650,000 today,” Carvalho said. The greater number of formal sector jobs means better wages, which also rose thanks to the policy of increasing the minimum wage adopted by Lula and Rousseff, besides improved access to bank loans – all of which has driven up buying power and consumption. “The additional income, also from scholarships and pensions, which doubled between 2003 and 2014, and the new jobs have fuelled demand tremendously, because the beneficiaries don’t save, they spend everything on consumption,” said Carvalho, a professor at the Federal University of Alagoas, a small state in the northeast. The rise in consumption bolstered commerce, which has in turned driven the expansion of networks of supermarkets and new industries to meet the growing demand, like factories of construction materials, clothing and food. Another reason for the expansion was the Growth Acceleration Programme, implemented since 2007 and consisting of a set of economic policies and investment and infrastructure projects ranging from small community endeavours to giant megaprojects like the diversion of the São Francisco river, which includes the construction of 700 km of channels and tunnels to carry water to 12 million people. “That unexpected dynamic has generated economic development as well as social inclusion, with social gains that aren’t limited to income,” such as the increase in access to electricity through the programme “Light for all” or the expansion in health and education coverage, Carvalho said. Nevertheless, living standards in the northeast are still far below the national average, and the difference has only been reduced slowly, also because the region’s economic growth has been concentrated in the coastal areas, he added. Brazil’s process of deindustrialisation has also affected the northeast, but to a lesser degree than in São Paulo and with better prospects for the future, another local economist, João Policarpo Lima of the Federal University of Pernambuco, told IPS. There are large-scale projects that will accelerate industrial expansion when they come fully onstream, he said. They include a refinery, a petrochemical plant and the world’s biggest Fiat assembly plant, being built in the northeast state of Pernambuco, which has grown the most in the past few years. 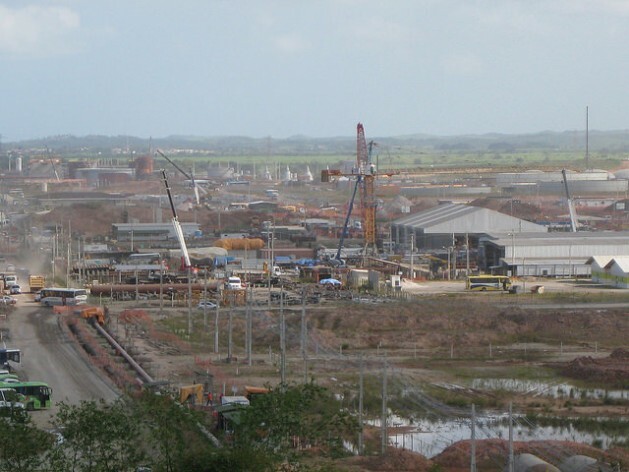 Large companies have set up shop in two port-industrial complexes: Suape in Pernambuco, and Pecém in the neighbouring state of Ceará. Suape also attracted more than 100 companies, including a major shipyard and the biggest flour mill in Latin America, besides the refinery and petrochemical plant. Meanwhile, in São Paulo the strong opposition vote and the vehement rejection of the Workers’ Party, Lula and Rousseff were connected to the economic losses. In protests in the city of São Paulo before and after the elections, demonstrators chanted increasingly hate-filled slogans against the “nordestinos” for “selling” their vote in exchange for Bolsa Familia, which provides an average monthly stipend of 70 dollars. The industrial setback was especially felt in the sugarcane industry, which produces sugar and ethanol and represents 80 percent of the agricultural economy of São Paulo, said businessman Maurilio Biagi Filho of Ribeirão Preto, a city known as the “sugarcane capital”. “The sector is caught up in a serious crisis that has given rise to a sense of desperation and will take many years to overcome, even if measures are adopted to bring about a recovery,” he told IPS. The business community and analysts blame the crisis on gasoline price controls implemented by Rousseff to curb inflation. Ethanol, the cost of which is rising, has been unable to compete with the subsidised fossil fuel prices. The situation was aggravated with the drop in sugar prices since 2010 and this year’s drought, which led to water rationing in more than 130 towns and cities in the state of São Paulo. Dozens of sugar mills went under or suspended production in the past few years, while many others accepted legal accords to avoid insolvency proceedings or were purchased by foreign corporations. An estimated 300,000 jobs were lost. The magnitude of the crisis and the perception that it is largely due to the government “influenced voters (in São Paulo), especially in the interior,” Biagi concluded.